The Celestron Granite ED 8x42 roof prism binoculars are the pinnacle of optical and mechanical design. They stand up well against the much more expensive European and higher end Japanese manufactured binoculars at a fraction of their cost - now that’s real value! 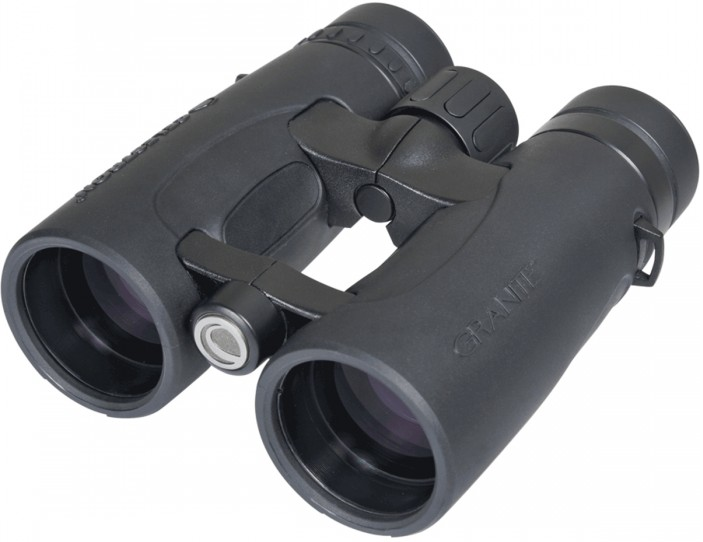 Granite Binoculars feature ED (Low Dispersion) glass in their optical design. They deliver edge-to-edge sharpness with excellent colour correction and razor sharp images while virtually eliminating chromatic aberration. State-of-the-art modern open frame style provides an excellent grip and is comfortable to handle (even single-handed) with the reduced weight. The body is made of magnesium which is much lighter than aluminium and more rugged and tough for handling in any environment.